Located in the central province of Henan in China, the Ying Mining District has been intermittently mined over the last several hundred years by small-scale local miners. Since 1956, extensive geological mapping, airborne magnetic surveys, stream sediment geochemical surveys, local IP surveys and trenching were conducted in the area by provincial geological bureau teams, culminating in the establishment of resource estimates in late 2003. 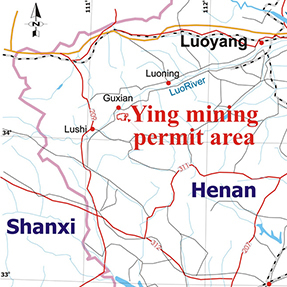 In March 2004, Silvercorp acquired its flagship Ying silver-lead-zinc project, and has subsequently acquired three other adjacent projects (the HPG, TLP and LM mines) in 2007, consolidating its hold on the district. 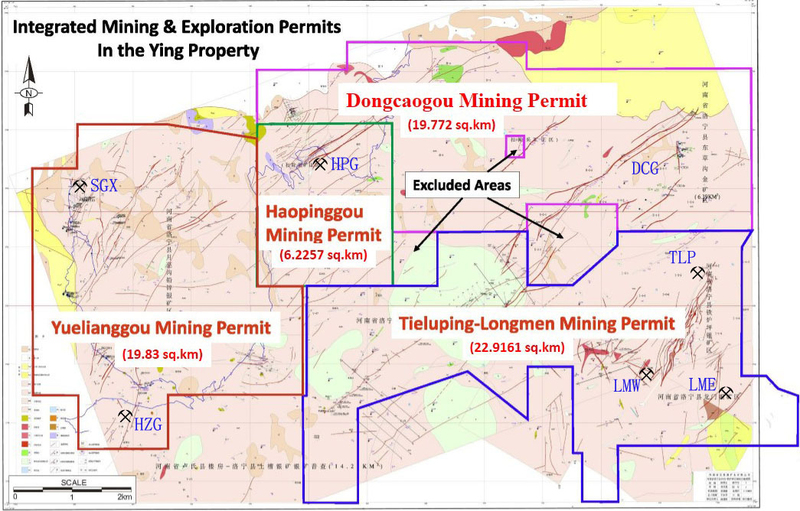 Silvercorp's Ying Mining District now includes 4 exploration permits totaling 44.29 km2 and 5 mining permits covering 26.73 km2. The district is located near the county of Luoning approximately 240 km southwest of Zhenzhou, the capital city of Henan Province. 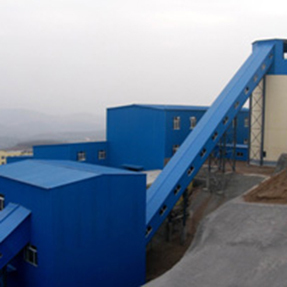 Silvercorp's four mines in the Ying Mining District are held in two Sino-Foreign Cooperative Joint Venture companies. 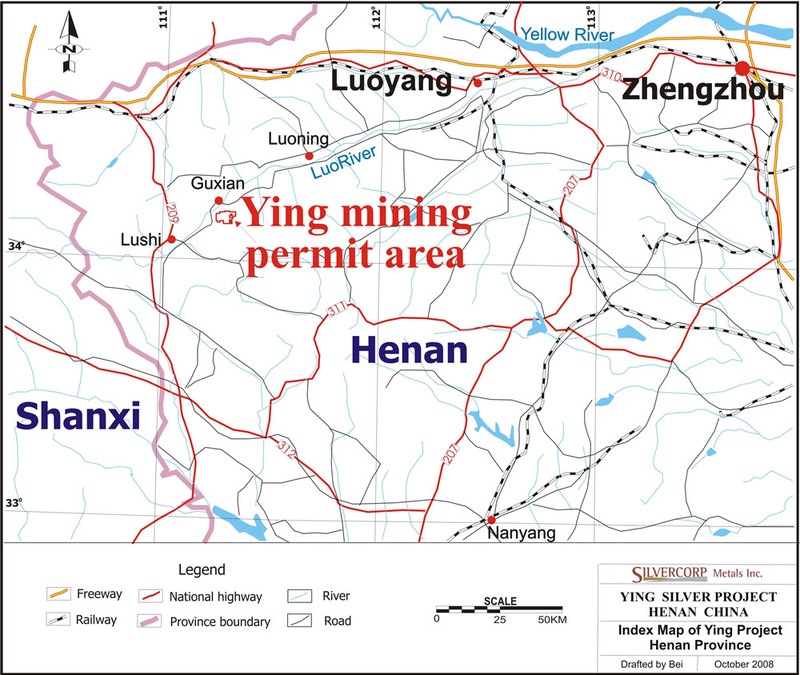 The flagship Ying Mine and the TLP Mine are held by Henan Found Mining Ltd., owned 77.5% by Silvercorp and 22.5% by the Henan Non-Ferrous Geological & Mineral Resources Co. Ltd. (the local quasi-government owned geological bureau). The HPG Mine and the LM Mine are held by Henan Huawei Mining Co. Ltd., a Sino-Foreign Cooperative JV company owned 80% by Silvercorp and 20% Luoning Huatai Mining Development Co. Ltd. (a private company). 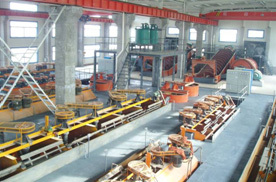 Silvercorp owns and operates two floatation mills in the Ying Mining District. The first mill, with a capacity of 1,000 tonnes per day (tpd), was built in 2006 at a capital cost of $6 million. The second mill was completed in December 2008 with an initial capacity of 1,500 tpd and cost $12 million to build. 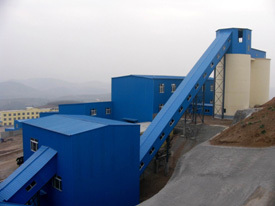 During the second quarter of fiscal year 2012, Silvercorp expanded the second mill capacity to 2,200 tpd bringing the Ying Mining District’s total milling capacity to 3,200 tpd. 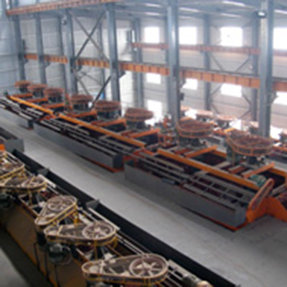 The processes used in the mills are typical of polymetallic Pb-Zn ores. There are two stages of ore crushing, from 400 mm to 15 mm, followed by ball milling such that 70% of the material passes 200 mesh (74 microns). The minerals are then separated by a series of flotation circuits, producing a lead concentrate (carrying the silver) which averages 69% lead, and a zinc concentrate which averages 52% zinc. A quality control laboratory processes up to 100 samples per day using wet chemical analytical and Atomic Absorption Spectrophotometry methods. The concentrates are of premium quality, containing very little arsenic (less than 0.001%) or other penalty elements. Metal recoveries to date have averaged over 95% for lead, 90% for silver and 72% for zinc. The silver and lead recoveries exceed those expected from the design specifications. The concentrates are currently being transported via trucks to custom smelters located 70 to 190 km from the mill site. Please see our latest NI 43-101 Technical Reports for Ying Mining District by clicking here or at SEDAR (www.sedar.com). AMC Mining Consultants (Canada) Ltd. (AMC) was commissioned by Silvercorp Metals Inc. (Silvercorp) to prepare a Technical Report on the Ying silver-lead-zinc property in Henan Province, China, encompassing the SGX, HZG, HPG, TLP, LME and LMW underground mines. AMC had previously prepared Technical Reports on the Ying property in 2012 (filed 15 June 2012, effective date 1 May 2012), and in 2013 (minor update to 2012 report, filed 30 April 2013, effective date 1 May 2012). Prior to the current Technical Report, the most recent was prepared by AMC dated 29 July 2014 with an effective date of 31 December 2013. The Ying Property is about 240 km west-southwest of Zhengzhou, the capital city of Henan Province, and 145 km southwest of Luoyang, which is the nearest major city. The nearest small city to the project area is Luoning, about 56 km by paved roads from Silvercorp’s Ying mill site. The project areas have good road access and operate year round. The area has a continental sub-tropical climate with four distinct seasons. 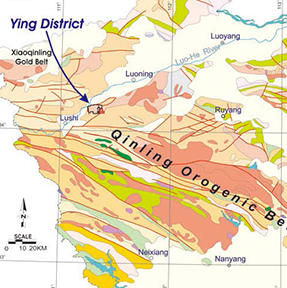 Silver-lead-zinc mineralization in the Ying district has been known and intermittently mined for several hundred years. The first systematic geological prospecting and exploration was initiated in 1956 by the Chinese government. Detailed summaries of the district’s historical activities from 1956 to 2004, when Silvercorp first acquired interests in the area, are described in previous NI 43-101 Technical Reports (see Section 27 – References). Silvercorp acquired an interest in the SGX Mine Project in 2004. Subsequently, Silvercorp acquired the HZG, HPG, TLP and LM mines, all of which were previously held and operated by private Chinese companies. Silvercorp, through its wholly owned subsidiary Victor Mining Ltd, is party to a cooperative joint venture agreement dated 12 April 2004 under which it earned a 77.5% interest in Henan Found Mining Co. Ltd (Henan Found), the Chinese company holding (with other assets) the Ying silver, lead and zinc project (the Ying Project including the flagship mine: SGX), and the silver and lead project in Tieluping (the TLP Project). In addition, Silvercorp, through its wholly owned subsidiary Victor Resources Ltd, is party to a cooperative agreement dated 31 March 2006 under which it initially obtained a 60% interest in Henan Huawei Mining Co. Ltd (Henan Huawei), the Chinese company holding the project in Haopinggou (the HPG Project) and the project in Longmen (the LM Project). Since that time the Silvercorp’s interest in Henan Huawei has increased to 80%. 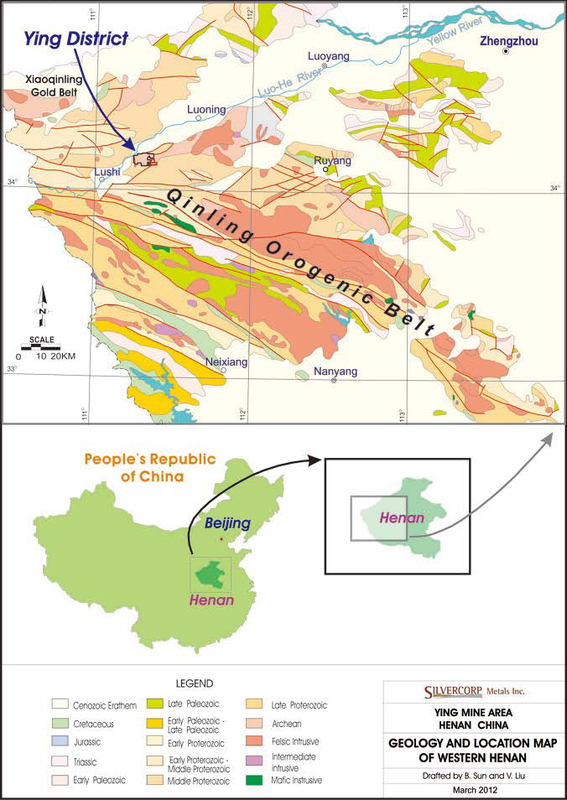 Geologically, the Ying Mining District is located in the 300 km-long west-northwest trending Qinling orogenic belt, a major structural belt formed by the collision of two large continental tectonic plates in Paleozoic time. Rocks along the orogenic belt are severely folded and faulted, offering optimal structural conditions for the emplacement of mineral deposits. Several operating silver-lead-zinc mines, including those in the Ying district, occur along this belt. The dominant structures in the region are west-northwest trending folds and faults, the faults comprising numerous thrusts with sets of conjugate shear structures trending either northwest or northeast. These shear zones are associated with all the important mineralization in the district. Mineralization in Ying Mining District comprises numerous mesothermal, silver-lead-zinc-rich, quartz-carbonate veins in steeply-dipping fault-fissure zones which cut Precambrian gneiss and greenstone. The veins thin and thicken abruptly along the structures in classic “pinch-and-swell” fashion with widths varying from a few centimetres up to a few metres. The fault-fissure zones extend for hundreds to a few thousand metres along strike. To date, significant mineralization has been defined or developed in at least 224 discrete vein structures, and many other smaller veins have been found but not, as yet, well explored. The vein systems of the various mine areas in the district are generally similar in mineralogy, with slight differences between some of the separate mine areas and between the different vein systems within each area. Between 2004 and June 2013, Silvercorp drilled 2,757 underground holes and 289 surface holes, for a total of approximately 858,111 m. From 1 July 2013 to 30 June 2016, Silvercorp drilled another 855 underground holes and 41 surface holes, for a total of 224,729 m. Most drill core (core) is NQ-sized. Core recoveries are influenced by lithology and average 98-99%. Core is logged, photographed and sampled in the surface core shack. Samples are prepared by cutting the core in half with a diamond saw. One half of the core is marked with sample number and sample boundary and then returned to the core box for archival storage. The other half is placed in a labelled cotton cloth bag with sample number marked on the bag. The bagged sample is then shipped to the laboratory for assaying. Other than drilling, the projects in Ying Mining District have been explored primarily from underground workings. The workings follow vein structures along strike, on levels spaced approximately 40 m apart. Chip samples across the structures are collected at 5 m spacing. Between 2004 and June 2013, Silvercorp undertook approximately 302 km of tunnelling exploration and underground development in the Ying Mining District. From 1 July 2013 to 30 June 2016, Silvercorp had completed 128 km of tunnelling in the district, and collected 44,166 channel / chip samples. Each of Silvercorp's producing mine areas in the Ying Mining District, have defined Ag-Pb-Zn resources and reserves that are currently large enough to support profitable operations for a decade or more. None of the mine areas, however, have as yet been fully explored or delimited, especially to the depths typical of many similar Ag-Pb-Zn mesothermal vein districts elsewhere in the world. 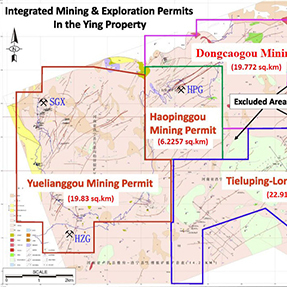 Each mine area in the Ying District has a large number of already identified veins that have not been explored in detail, and exploration to date has been quite successful in discovering many new veins that have not been explored at all. There are also a number of promising outlying intermediate stage exploration target areas, any of which could well become future additional "fast-track" mining developments. Stope Cut-off grades (Ag/Eq g/t): SGX - 190 Resuing, 170 Shrinkage; HZG - 170 Resuing; HPG - 200 Resuing, 175 Shrinkage; LME -175 Resuing, 145 Shrinkage; LMW -180 Resuing, 135 Shrinkage; TLP - 155 Resuing, 130 Shrinkage. Vein development cut-off grades of 50 g/t AgEq for all mines. Unplanned dilution (zero grade) assumed as 0.05m on each wall of a resuing stope and 0.10m on each wall of a shrinkage stope. Mining recovery factors assumed as 95% for resuing and 92% for shrinkage. Processing recovery factors: SGX - 94.5% Ag, 96.5% Pb, 61.4% Zn; HZG - 95.6% Ag, 93.8% Pb; HPG - 88.9% Ag, 93.1% Pb, 45.1% Zn; LME - 95.2% Ag, 93.2% Pb; LMW - 93.3% Ag, 95.0% Pb; TLP - 92.4% Ag, 93.5% Pb. Exclusive of mine production to 30 June 2016. Exchange rate assumed is 6.50 RMB : US$1.00. Rounding of some figures may lead to minor discrepancies in totals. 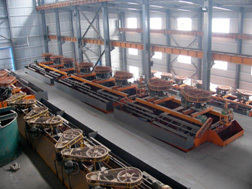 Silvercorp runs two processing plants, Plants 1 and 2, at the Ying Mine with a total current design capacity of 2,600 tpd. The two plants are situated within 2 km of each other. Both were designed based on the lab tests completed by HNMRI in 2005. Plant 1 (Xiayu Plant, 600 tpd) has been in operation since March, 2007. Plant 2 (Zhuangtou Plant) has been in production since December 2009, with an expansion from 1,000 tpd to 2,000 tpd completed in October 2011. From January 2012, the total design processing capacity is about 2,600 tpd, but the actual capacity can reach 3,000 – 3,200 tpd. Up until now plant capacity has been under-utilized (especially Plant 2) relative to design and ultimate capacity. The LOM plan shows an increase in planned production from 650 kt in 2017 to 749 kt in 2025, then a gradual decrease to less than 370 kt in 2036. SGX / HPG ores also contain high grade, large-size galena lumps with characteristic specular silver-grey colour. These are hand-sorted at the mine sites, crushed, and then shipped by dedicated trucks to Plant 1. 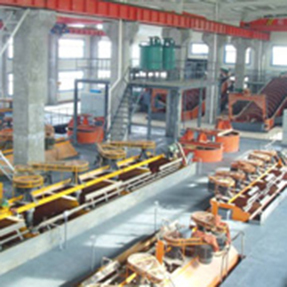 The lumps are milled in a dedicated facility, and then sold directly or mixed with flotation lead concentrate for sale.